“Where is my baby? Is there something wrong?,” my tired Mum asked. “You said you’d bring him back for feeding hours ago, but nobody’s brought him. I’m worried that he must be hungry by now.” This is the conversation that my mum had with a nurse, hours after giving birth to me. The run-up to that moment was also a stressful time, for both of my parents. I tried to come early and my mum had labour pains for several weeks. When I did finally arrive I was a very big baby, ten pounds to be precise, and as I was a rather worrying colour of blue, the hospital staff promptly removed me from my mother’s arms to get extra oxygen, and then on to the nursery. This was my welcome to the world. Being taken from my mum to spend hours alone without care and food. It didn’t matter that it was an innocent oversight by the hospital staff. I didn’t know that then. My upset feelings came from my perhaps natural, yet misinformed perceptions, which were fuelled by what I thought had happened. Without knowing the reality of the situation, I continued on with my life unaware of the event ever happening, along with the toxic belief that had been unconsciously created that day. Subsequently, I had no idea the event and belief had been screwing with my life, from behind the scenes, for several years. It wasn’t until I used the Mind Detox method (over three decades later) that the ramifications of being left alone after my birth were finally revealed and resolved. I lived with an underlying angst that I was alone in the world. It didn’t matter how often people said they loved me or that they wanted me around, I never believed it, and acted accordingly. Inwardly I existed like an island, feeling lonely, left out, isolated and unwanted. I created a range of corrosive coping strategies that ended up ruining the majority of my relationships. I believed that I was bothering people with my mere presence. The way I felt and acted also messed with my ability to make money and limited other areas of my life, too. Using the Mind Detox method, I discovered that my birth made me feel “Sad, scared and alone because I’m not wanted.” It made sense, seeing as that was how I’d secretly felt for most of my life. I had been completely oblivious to carrying this emotionally charged incorrect conclusion around with me for so many years. I’ve since learned that we are able to feel what’s going on around us from before our first breath. Later in life, we learn to use words to convey how we feel - but feelings are fuelling the formation of our beliefs from the get-go. As most of our beliefs are created before our teenage years, during a period in our life when we have little life experience, they are often misinformed and downright wrong. This means that even the earliest of events can impact our entire life - unless we proactively discover our misinformed beliefs and update them. We have all had challenging events happen to us, and as a consequence, formed a few incorrect conclusions that are working against us being the healthiest, happiest and most successful versions of our self. 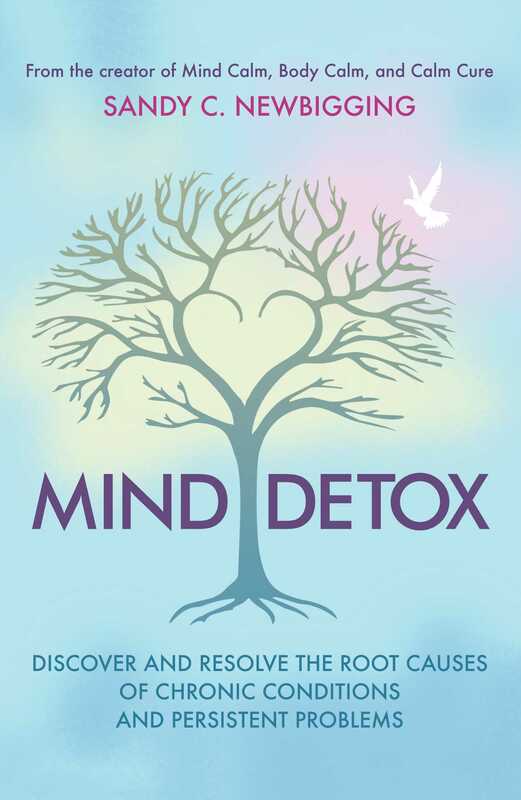 With Mind Detox you can heal the hidden parts of your mind that have been secretly hindering you, and move forward with more freedom and fulfilment. Peace with the past is possible. I know this from successfully Mind Detoxing hundreds of people, many of whom had rather extreme events and experiences needing resolved. How we perceive past events determines whether we endure problems or experience peace. Are we looking through a mental lens that is clouded by toxic assumptions, beliefs or attitudes? If so, we lack pure perception. These three elements distort our remembering of things that have happened in our past and justify a reactive resistance towards what we think happened. The combination of impure perception and reactive resistance creates chronic stress, negative emotions, problematic behavioural patterns and, in some cases, ill-health. In short, if there is an absence of peace with the past, then we can be sure there is also an absence of pure perception. Being at peace with the past requires us to return to the truth of reality, where resolution is waiting for us. Until we do this, our life is usually defined and determined by a series of fictitious fantasies, imagined by our mind, which are only a relative reality (similar to a dream or convincing story). It is the stories that we make up and tell ourselves about life - distorted by our impure perceptions - that hurt and hinder us over time. When we uncover the truth of reality, we automatically and immediately find the hidden treasures of forgiveness, wisdom, understanding and acceptance. - Are my facts about what happened actually fictions? - Is the real problem my perceptions of the past? - Do I want to be right or do I want to be at peace? The simple act of questioning your assumptions can crack open an inner door through which peace becomes more possible. If you are open to perceiving your past with fresh eyes and from a more positive and empowered perspective, then Mind Detox can work wonders.